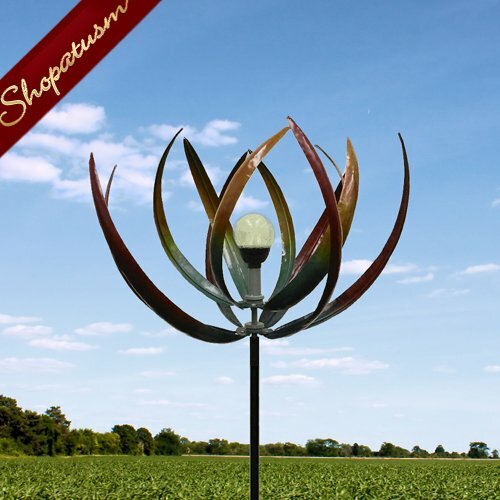 This is for a Artistic Iron Solar Light Leaf Garden Windmill Yard Art from Shopatusm. A work of art powered by the sun and by the breeze! This stunning windmill stands 7 feet tall and features long leaves that will twirl and spin in the wind around a solar-powered bulb. Item weight: 9 lbs. 26 inch x 26 inch x 84 inch high. Iron. Some Assembly Required.